Size: 888 sq.ft. - 1865 sq.ft. A massive construction of five residential apartments to take place in Mumbai named Rustomjee Paramount. Rustomjee Paramount is all set to change the face of Khar West. The designing concept of the project is based on modern architecture sprawling over landscape of 1.65 acres. The units of Rustomjee Paramount are available in the sizes between 2 BHK to 4 BHK large sized homes with the carpet area of 888 Sq.ft to 1865 Sq.ft. The apartments will be ready to occupy by May 2020 with attractive payment plans. Rustomjee Paramount invites you to an awe-inspiring world that promises you an astonishing life. Rustomjee Paramount Khar is spacious combination of 2 BHK, 3 BHK and 4 BHK flats and caters all needs and utility of the residents. The interiors of the project are very appealing to its buyers with the best floor plans that involved every space and corner of the apartments. The Paramount complex ensures you a serene way of living by designing elegant floor to roomy balconies, fully secure kids play area, high-quality fittings, power supply through best quality line and modular kitchen area. Out of 5 towers two of the towers have already received the certificate of occupancy. Rustomjee Paramount consists of 180 flats in total starting from 4.8 Cr -10.08 Cr with different payment methods. Rustomjee real estate group got incorporated in the year 1996 by Mr.Boman R. Irani. 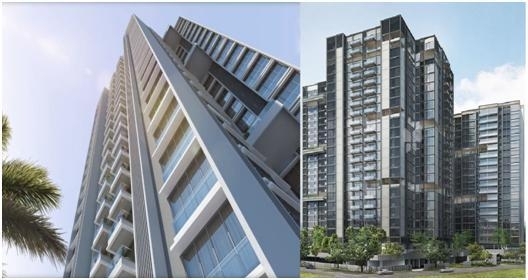 Rustomjee Group is Mumbai's top ranked real-estate firm sets great standard for fast delivery of the residences and good quality of work by their highly expert team. Also, it is a first development company has received the honour of an ISO 9001certification and is believe to be an ISO 9001-2008 Company. The group is very much dedicated towards their work that describes them as benchmark of the real-estate sector. * Domestic Airport (Santacruz) is just 10 minutes away from The Western Express Highway. The commuters can also do street shopping in Khar West which is very famous within. Rustomjee Paramount project is located at 18th Street, Vithaldas Nagar in Khar West, Mumbai, Maharashtra - 400052. Wing E : P51800000862 Possession by June 2021. Rustomjee Paramount provides you very comfortable life style with loads of modern features and amenities: - Club House, Lobby, Bathroom Fittings, Jacuzzi, 24/7 Water Supply,Gymnasium, Swimming Pool, Children Play Area, Jogging Track, Senior Citizen Zone Community, Party Area, Landscaped Gardens, Italian Flooring, Vitrified Flooring, Marble Flooring, Modular Kitchen, Intercom Facility, French Windows,Power Backup Facility, Video Door Phone, Vastu Compliant,CCTV System,High-tech Security System, Fire Safety, Terrace Garden,Tennis Court, Maintenance Department, Badminton Court, Football & Basket Court, Cricket Pitch, Music & Instruments Room, Indoor Games, Outdoor Games, Cafeteria within Community, Spa & Sauna Bath, Amphitheatre, Mini Theatre, Cycling Track,Valet Parking, separate space for Meditation & Yoga. Schools – Beacon High School, R.V Technical School, B.M.C School. Banks/ATM(s) – HDFC Bank, Union Bank of India, Kotak Mahindra Bank, Syndicate Bank. Parks – Rotary Park, Juhu Sea Side Garden, Sheetal Garden, SambhajiUdyan. Shopping Malls – Link Square Mall, Milan Mall, Prime Mall, Elco Arcade Shopping Centre. Railway Stations – Khar Road Railway station, Santacruz Railway Station, Bandra Terminus, Vile Parle Railway Station. Bus Stops – 18th Road Stop, 16th Road Stop, Linking Road Stop, SV Road stop. 888 sq.ft. - 1865 sq.ft.